The Global Engineering Education Exchange (GE3) is an international exchange program for all College of Engineering, Biomed Engineering and iSchool majors during their pre-junior and junior year. The program allows Drexel students to study in one of 12 countries overseas, fully immersed into the education, culture and daily life of their host country. This is a fantastic opportunity to make new friends and explore your academic interests from a different perspective. Hong Kong Polytechnic University (PolyU) is regarded as one of the most prestigious science and technology-focused schools in Hong Kong. The public university is located in the heart of Kowloon and just a short 5-minute ferry ride to Hong Kong island. PolyU currently enrolls over 28,000 students in a wide array of programs meant to directly meet industrial, commercial and community needs of the city and region. Hong Kong Polytechnic University is the largest government-funded university in Hong Kong. It is often ranked among the top 150 universities in the world. PolyU consists of six colleges including Applied Sciences and Textiles, Business, Construction and Environment, Engineering, Health and Social Sciences, and Humanities. It is widely recognized for its civil engineering faculty for the number of sited research papers the faculty has conducted. PolyU is prominently located in Hung Hom, Hong Kong, directly across from Hong Kong Island. The city’s unique location serves as a gateway to China and the rest of Asia. Hong Kong is also widely regarded as the business hub of Asia with the pace of New York mixed in with Eastern traditions and culture. University students in Hong Kong are some of the brightest and hardworking in the world. An experience at PolyU will undoubtedly help engineering majors view the world in a new way and gain deeper understanding of progressive engineering initiatives in Asia. During the application process, students will need to get course equivalents pre-approved by the appropriate department for each course they plan to take abroad. For example, if you want to take a Mechanical Engineering course abroad for Drexel credit, its equivalent must be pre-approved by the Mechanical Engineering department head. Please find information on PolyU’s faculty of engineering on http://www.polyu.edu.hk/feng? Students are taught and graded by PolyU faculty. 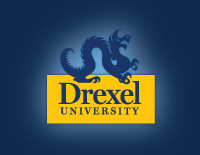 Grades are noted as "CR/NCR" on students’ Drexel transcript and will NOT affect their GPA. In order to receive CR students must earn a "C" or above at the host institution. The goal is to be a full-time student at the host institution while also taking the equivalent of a full-time load at Drexel. PolyU is a semester-based school. Fall Semester works best with Drexel’s fall term calendar. Due to the need for cycle and program changes, we encourage you to begin planning at least 12 months in advance. Students with fall/winter co-op will need a cycle change in order to participate in this program. Please see HK Polytechnic’s academic calendar at: https://www28.polyu.edu.hk/asweblogin/mainMenu.jsp? Students are encouraged to apply for on campus housing through the university. All rooms are fully furnished with a shared bathroom between two adjacent rooms. Each room is air-conditioned and equipped with broadband Internet access. All exchange students are guaranteed a place at PolyU's Student Halls of Residence as long as they complete the housing application before PolyU’s deadline. Students have the option of eating at on-campus food canteens or going out to one of the many affordable food shops in Kowloon. There are no meal plans at the university. Anyone without the right of abode in Hong Kong must obtain a student visa to study in Hong Kong. The most efficient way to apply to the Hong Kong Immigration Department for a visa is via PolyU. PolyU will send a visa application form to each student with the admission package. After receiving the completed application form from the student, PolyU will process the application on the student's behalf. This is a Drexel sponsored program, thus your Drexel tuition and financial aid remain the same during the term abroad. Students may also want to submit a revised budget to Drexel Central to see if additional funding may be available. Students who receive Federal Work Study should consider applying for the Study Abroad Online Journalist work study position (only available to students after acceptance). For more information on these and many other scholarship opportunities, visit our Scholarships page.